With the weather significantly impeding the path of many of runners this season, from all stables, there is no surprise that Wednesday’s Ruakaka fields have come up extremely strong and certainly have a ‘Saturday’ class feel about them. The Mike Moroney and Pam Gerard will take a team of six to the winterless and we’ll be hoping to kick start some of the quality young stock into gear and get several preparations underway. First we have debutant two-year-old colt As You Will (Mastercraftsman x Comme Tu Veux) who takes on a small but concise field of juveniles and will be partnered by leading senior jockey Michael Coleman. “He’s a nice strong, robust colt with plenty of quality about him, and his trial at Avondale vindicated this,” co-trainer Pam Gerard said. The son of Mastercraftsman was able to win his sole trial at Avondale last month, despite doing things wrong, showed enough to suggest he is up and running style of horse. 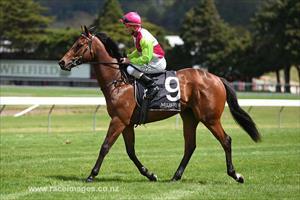 As You Will carries the colours of Australasian owner Max Whitby and holds a nomination for the Karaka Million in January. The second runner on the card is the highly regarded Fortaleza (Darci Brahma x Bunyah), and while she hasn’t had much luck fall her way, the team are hopeful of an improved performance in the maiden three-year-old event over 1400m. “She has the right factors in her favour that suggest she can run a race,” Gerard said. The combination of a good racing surface, step up in distance, good draw and the appointment of international rider Mark du Plessis, are all factors that the team is hoping will allow her to perform at her best. Kane (Darci Brahma x Dream Lass) is another who will be hoping for a turn of luck after missing the start by three lengths at her last outing at Ruakaka, although Gerard is confident the lightly tried mare can make amends and be competitive on Wednesday. First starters Emebya (Rip Van Winkle x Whiffle) and Henley Road (Rip Van Winkle x Raadisi) will be looking to get their campaigns underway in the maiden event over 1200m with Mark du Plessis and Sam Weatherley to take up riding duties respectively. “It’s not ideal running against the older horses at their first outing, but we decided to make the most of the better racing surface and get them underway,” Gerard said. The final runner on the card is last start winner Ruby Armani (Makfi x Trujillo) who looks well placed in the Rating 75 event over 1400m with Cameron Lammas booked to ride. The four-year-old daughter of Makfi was set to race in last weekend’s Gr.3 Rich Hill Breeders Stakes but was forced to scratch following a rain affected track.